Bounce or break? These pairs are sitting right on major support areas of consolidation patterns, still deciding whether to head further south or to go for a bounce. EUR/GBP is still stuck inside its descending triangle chart formation, but it looks like sterling has more fans than the euro as price could be due for a break of support around the .8400 handle. The 100 SMA is below the 200 SMA on the 4-hour chart, indicating that selling pressure is in play. These dynamic inflection points could continue to keep gains in check even if the pair makes a quick bounce. Don’t count euro bulls out yet, though, as stochastic is already in the oversold region and might pull up to draw buyers back in. 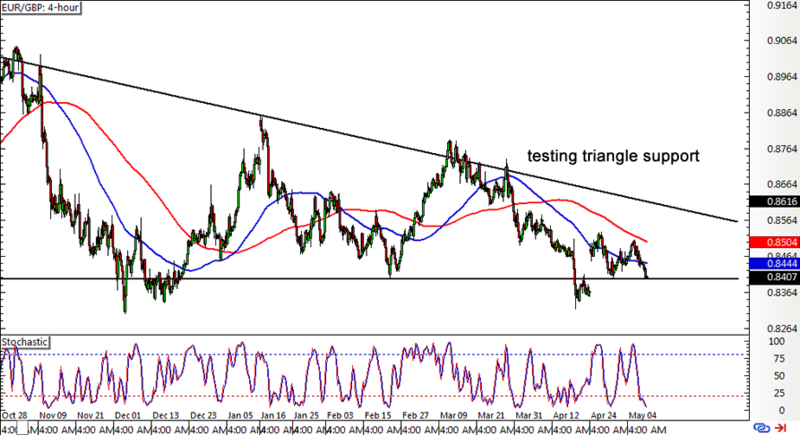 If so, EUR/GBP could go for a test of the triangle resistance at the .8550 minor psychological mark. Do keep your eyes peeled for a breakout, too! This particular formation is approximately 500 pips tall so the resulting rally or selloff could be of the same size. Wouldn’t wanna miss out on a move like that, right? Here’s another pair that might be ready to break out soon! AUD/CAD is currently hovering at the bottom of its rising wedge visible on the daily time frame. This area lines up with the moving averages, which could hold as dynamic support levels for the time being. The 100 SMA appears to have crossed above the 200 SMA so the path of least resistance is to the upside and that a bounce back to the resistance may be in order. At the same time, stochastic is approaching the oversold region so sellers might need to take a break. 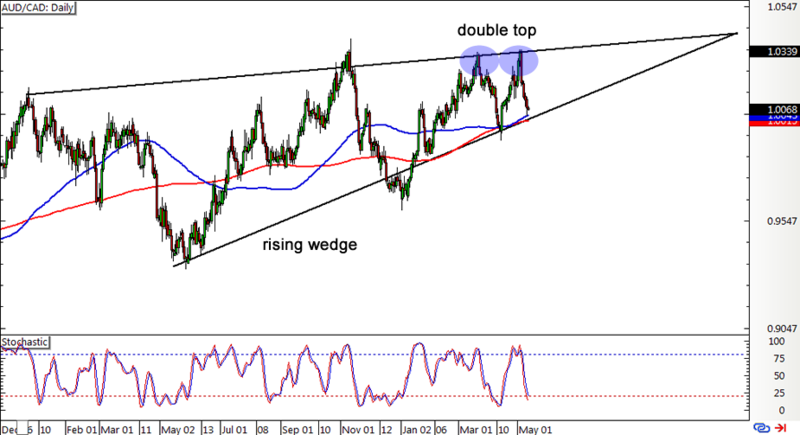 However, I’m also seeing a small double top pattern right on the wedge resistance, which is a classic downtrend signal. I’d wait for a break of this pattern’s neckline around .9950 before going short and initially aim for a 350-pip target or the same height as the double top then go for the wedge height of around 800 pips next.